Wendy B's post on bloggers wearing red tights reminded me of mine languishing at the back of my sock drawer. So I decided to put them to good use on my Edinburgh trip! I teamed them with my new Boohoo.com white dress for the (5 hour!) train journey and for loooking round Edinburgh and getting our bearings. I've been before but in a different hotel, so routes are different and so on. We went to TGI's for tea- not very local I know but we wanted cocktails and comfort food. 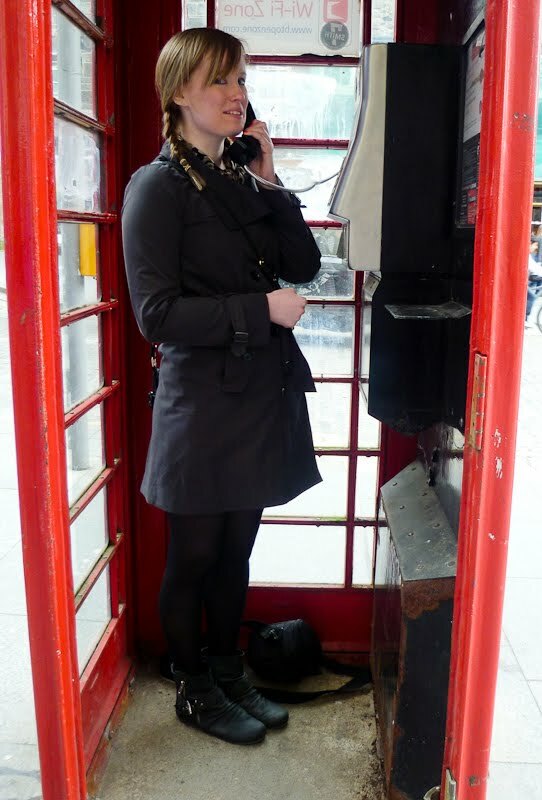 I changed into a black brodiere anglais Topshop dress and kept the tights on. All the waitresses at TGI's were wearing red tights which I thought was incredibly cool even if it did make me look like I worked there. After several cocktails we headed to the HMV Picture House which is just as awesome as the Birmingham HMV Institute. Whoever is behind the HMV venues knows exactly what they're doing! And as I said- so many girls in red tights! Edinburgh is a very stylish city. Edinburgh is such a wonderful city, so friendly but so majestic. I love how the castle rises up in front of you as you walk up the Royal Mile. The bf and I decided to go to the castle even though it was £14!!! It was worth it as there is a lot to see and the views are incredible. The most interesting part was the crown jewels exhibition. Scotland doesn't have its own monarchy anymore, but it used to, of course. I love the dramatic way in which they sealed the crown jewels away behind a bricked-up door after the parliament was dissolved! They were there for over a hundred years before someone thought it would be a fun idea to get them out for public display. Sadly but understandably you can't take photos. We also saw David's tower which they were buried beneath during WW2. Everyone rants on and on about steak and I have never understood why! While searching for somewhere nice to eat in Edinburgh I noticed that many places prided themselves on their steaks. Perhaps it was time to try a decent one and see if I was converted. Never the less The Cellar Door is a great establishment, my wood pigeon starter was incredible and the trio of chocolate I had for pudding was gorgeous and beautifully presented. Our espressos came with a little chocolate truffle made in the patisserie upstairs and I'm determined to recreate them! 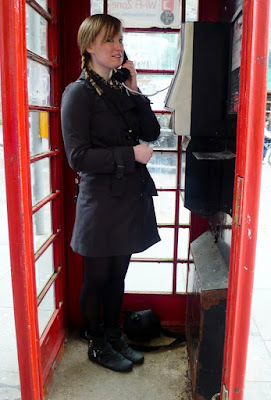 I wore my favourite eating-out outfit with an antique necklace and a bag I found in a charity shop! Always Sunday on the Royal Mile. Please go there, the breakfast is divine. In my shiny new Gap mac! love your red tights and eating out outfit! Edinburgh sounds like a great place. I am totally jealous of how awesome your life is. I'll have to include you in a future red legs post! I wish I can trvel to places!! You're just like my mom, she is not a fan of steaks! Love your travel photos! adore your red tights, you dress then wonderfully! great outfits. by the sounds of it you had a great time in edinburgh, I might have to visit sometime. awesome dress! loooove those bright red tights! Awesome pix! Thanks for the play-by-play, sounds like you had such a blast...Really loving that Topshop shift on you...super classic lines with the graphic twist- Perfect for date nights this spring! Thanks for sharing!